Rose's puppies are one week old! 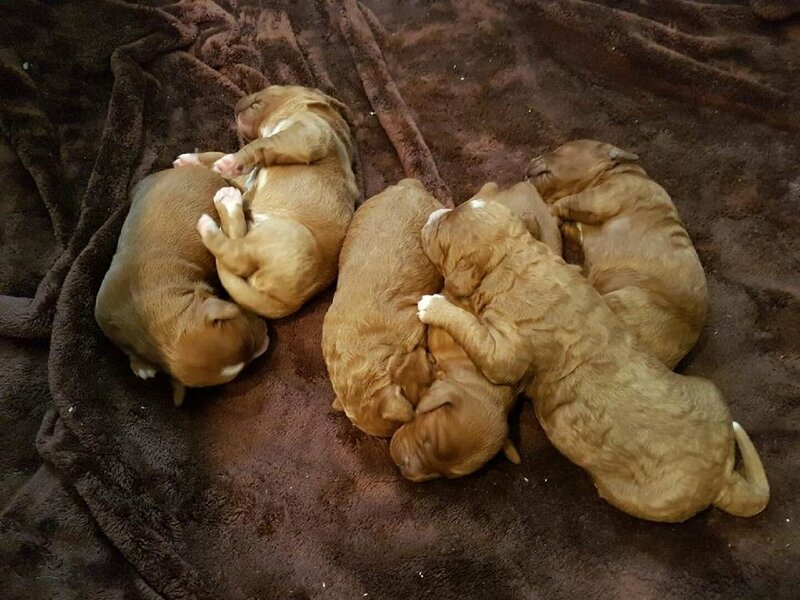 Rose and Molesley have dazzled us once again with their beautiful litter of red puppies! These babies are red with white markings and there are three boys and three girls! They are thriving well and are loving snuggles and momma's milk right now! We may have a spot available on this litter as the timing didn't work well for one of our families! Please contact us if you are interested!